Would you be more likely to partake in a lunchtime walk if your co-workers joined in? Workplace walking groups tap into the power of social support to help employees get active and stay active. And they’re popping up at job sites everywhere. Conduct an informal survey of employees — find out just how many are interested, when they’re available to walk, for how long, and which days work best. Give your Human Resources (HR) representative — and your manager — a heads-up. Let them know that employees are interested in forming break-time walking groups and ask if there are any concerns or considerations. You’ll need your manager’s thumbs-up to take on this project, and employees may need to sign a liability waiver to participate in onsite or company-sponsored physical activity. HR departments are usually glad to help promote employee health and wellness, and often have effective avenues for getting the word out about special events and programs — they can even get the company’s health benefit vendors on board to help spread the word. 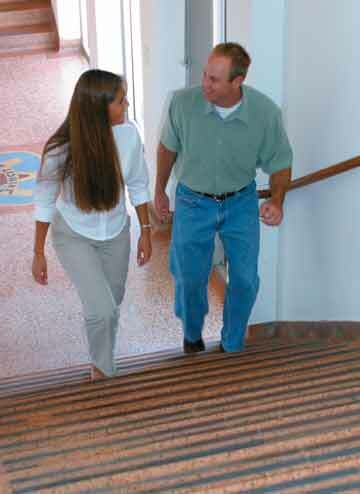 Partnering with your HR staff and manager will help ensure that your walking program successfully gets off the ground. How Walkable is Your Workplace? Assessing the walkability of your workplace is another essential step prior to launch. The Centers for Disease Control and Prevention offers a free Workplace Walkability Audit to help you identify ways to make walking at your job site safer and more desirable. The audit addresses availability of sidewalks and trails, visibility, footpath obstacles, and more. It’s a great place to start. Your facilities manager may be willing to help conduct the audit — and coordinate improvements. Cultivate a sense of ownership for the program among your co-workers by asking them to share ideas when you’re in the planning stage. You’ll need a program name, structure, and ways to promote it to your workplace population. Solicit input from all levels of your organization, from front-line workers to managers and directors. Establishing employee focus groups is one way to do it. Walking ambassadors could be identified in each department — to represent colleagues and serve as walking program advocates. If there’s already a system of representation in place, consider piggy-backing the walking program onto it instead of re-inventing the wheel. Making established routes available to employees will make workplace walking more appealing and convenient. Use a free online tool like MapWalk™ to easily map routes near your job site — and create a database of routes. Ask employees to share their favorite routes. To garner ongoing leadership support, set up a way to evaluate the program before it begins — another opportunity to collaborate with HR. Tracking baseline measures like health care costs, productivity (such as absenteeism) and employee satisfaction prior implementing a walking program as a part of an integrated wellness program will allow you evaluate your population’s progress and the effectiveness of your efforts over time. Jump-start your walking program with a kickoff celebration —in conjunction with open enrollment or another scheduled company-wide event. Look to your community for creative ways to get employees excited. 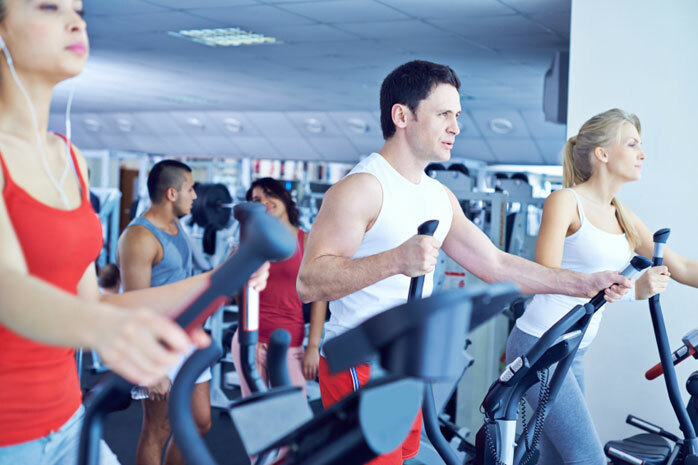 A certified personal trainer may be willing to offer a lunchtime seminar on Walking for Fun and Fitness; a local shoe store might raffle off a pair of walking shoes; a podiatrist could provide free onsite foot pain consultations. Make it a fun opportunity for everyone to learn more about how to get started with walking, and why — and get them signed up. To drum up even more interest, hold periodic walking challenges — they don’t have to be complicated or expensive. Competitive people within your organization are just waiting for a chance to get out there and show their stuff. Have employees track steps (using pedometers), miles, or walking time as individuals or teams — and award the winners plenty of recognition and bragging rights.